There are stars, and there are superstars. Sean Hubbard’s guest on the Hubbard Wrestling Weekly Podcast this week is a future superstar. This woman is changing the face of professional wrestling with her stable-mates the Go4t. As a collective unit, Whiplash, Raze, Roman, Kage and #HWWeekly’s guest Jayel Cotto are beginning to dominate in Tag Team and Singles competition. Listen to what Cotto has to say about her childhood influence, how her vast knowledge/championships in Taekwondo has her ready for any type of in-ring action, her take on behind the scenes politics in wrestling, and how she feels about the main stream product. 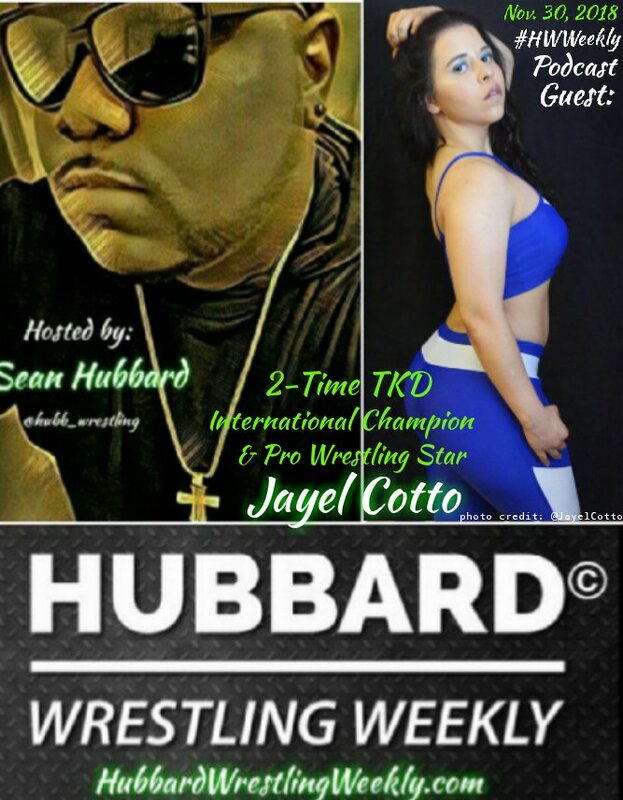 All this and more on episode 22 of the number one New York based professional wrestling podcast period… The Hubbard Wrestling Weekly podcast with a woman who I predict will be a game changer in women’s wrestling, Jayel Cotto.